Formotus mobile workflow forms are capable of amazing things. Here we’ll show you how to do one simple thing. This demo creates a simple workflow form that allows mobile users on Windows, iPad or Android to “send” an InfoPath form back and forth to each other with changed content. The reason “send” is in quotes? Nothing really moves from one user to the other — it’s not like an email attachment. The form always resides on SharePoint, and what changes is who can see it to check it out, download it and fill it. 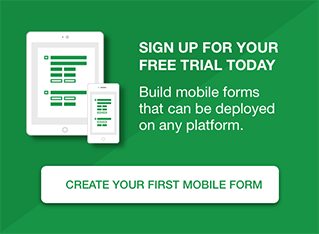 If it’s not assigned to you, you don’t see it — and that’s the core functionality of mobile workflow forms. At least one Android or iOS device (preferably two), with Forms Central installed from an app store. If you are familiar with InfoPath, this may be the simplest form you ever used. It just has three text boxes bound to three simple fields. Nothing special here. Complete the wizard and open the SharePoint form library for future use. To give each submission a unique filename, click Fx and enter now() in the formula area. Complete the wizard. Select the Submit button control in the form. In the Properties tab on the ribbon find the Action dropdown on the left and choose Submit. You can use the Submit Actions button to verify and manage the submit settings now attached to the button. Here we’ll use the Formotus cloud console to turn our InfoPath form into a mobile workflow form and deploy it to two mobile users who can be using iOS or Android devices. If you don’t already have at least two mobile users, add one. From the Dashboard or Users page, click New User. Fill in the required fields and an easy password, and click Done. From the Dashboard or Forms page, click New Workflow Form. On the Upload Workflow Forms page, paste in the URL of your Hello World library and enter your SharePoint credentials. Click Upload. Disregard the other filters on this page as we’ll explain how to use these in future posts. Click Upload to make the form live for deployment. On the Success page click Deploy This Form. Alternatively you can click the Deployments tab at the top of the page. On the Deployments page, make sure the Hello World form is selected on the left. Mark the checkboxes for both User 1 and User 2, then click Deploy to move those users to the Deployed list. Click Done. Your Hello World for is now configured and deployed. A workflow job on the mobile device is created when you add an InfoPath form instance to your SharePoint library. We’ll use InfoPath to add the first workflow job. Note: If you get a security error related to UserName, you may need to adjust your Internet Explorer security settings. 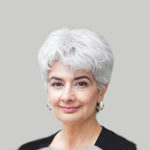 For this and related issues, see Dealing with InfoPath trust and security issues. Enter the Formotus ID (email) of one of your mobile users in the To field. Submit the form. Because it is no longer assigned to User 1, you will no longer be able to see the job. Tap Forms to return to the job list. Notice you have now grabbed (downloaded) the form so you can fill it out any time, even if not connected. 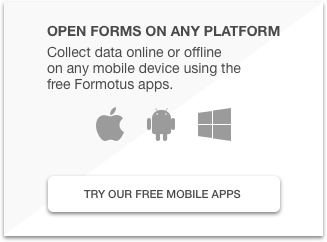 Your Formotus mobile users can pass this form around to each other as much as they want. There can be as many different users as your subscription supports, and for ease of use you’d probably want to put the users in a drop-down list for easy selection. This form doesn’t do very much, but we hope it gives you plenty of ideas about the possibilities for using a workflow like this in your own mobility solutions.